Wednesday marks the first day of the Western Athletic Conference (WAC) Championships, which will take place in San Antonio, Texas at the Palo Alto Aquatic Center and will run from February 25-28. The defending champions are Northern Arizona University on the women’s side and UNLV on the men’s side. 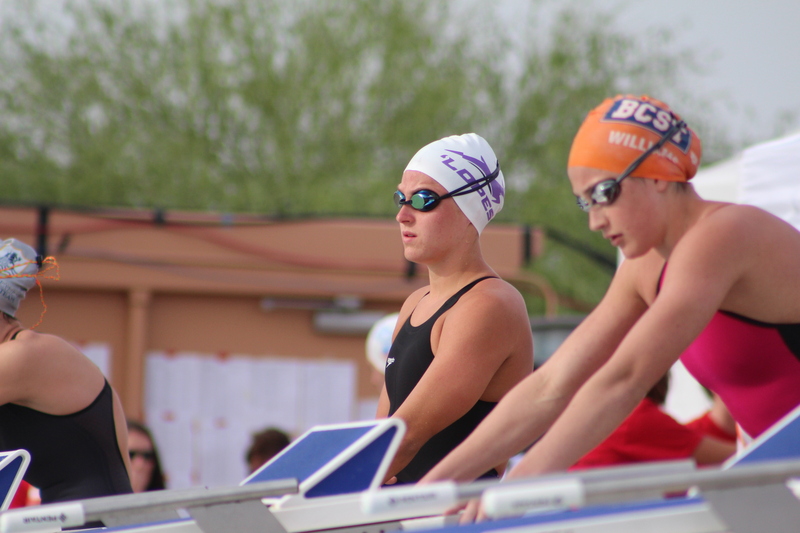 See the WAC Championships psych sheet here! Women’s teams competing for the championship will be Bakersfield, Grand Canyon, Idaho, New Mexico State, North Dakota, Northern Arizona, Northern Colorado, and Seattle University. Men’s teams include Air Force, Bakersfield, Grand Canyon, UNLV, North Dakota, Seattle University and Wyoming. The week is sure to include a lot of fast swimming and exciting races. Will NAU and UNLV defend their titles, or will they other teams step up and take the crown? Below are some of the races to watch. This race features defending champion Iegor Lytvenok of Grand Canyon University. Lytvenok set the Pool, WAC meet, and WAC Champ records last year on his way to a win, and looks to defend his title and re-break his own records. However the Wyoming pair of Adam Kalms and Ryan Nelson aren’t far behind and will be looking to get their hand on the wall first. With Kalms having been just out-touched by Lytvenok last year, it is sure to be an intense race. It’s looking to be a fast one, with defending champ Hannah Kastigar of GCU seeded faster than her winning time last year. 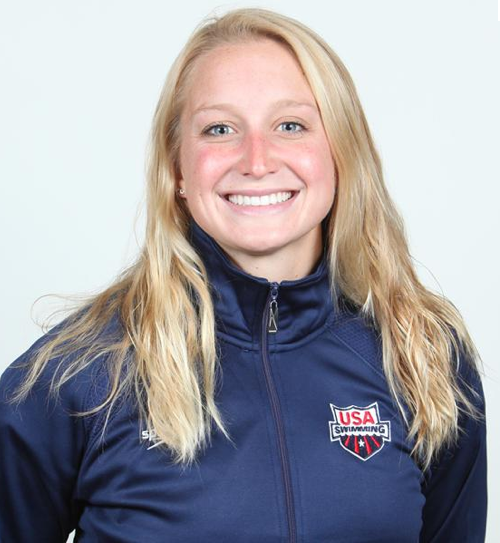 She is probably feeling confident with a comfortable seven-second lead, but as anyone knows a lot can happen in a 400 IM and she is sure to have some challengers gunning for her. The 200 freestyle on the women’s side features some new blood with the top two seeds of freshman Paola Hernandez from Bakersfield and freshman Sydney Kovar from Northern Colorado. They are seeded ahead of defending champion Michaela Paige who will be looking to defend her throne. The men’s 100 breastroke features Michael Barnosky from Air Force, who was third in last year’s championship final. He is within a second of the pool, WAC, and WAC meet records (set in 2012 and 2014 respectively). The heat also features seven swimmers under the NCAA ‘B’ cut. The heats will certainly be fast with all swimmers surely be looking to get invites to NCAAs. The men’s 1650 free features defending WAC champion Mitchell Huxhold (cover photo) of CSUB, who in a thrilling race last year qualified for NCAAs by one-hundredth of a second, setting the WAC and WAC meet records in the process. Huxhold will be looking to defend his title and re-qualify for NCAAs. He has some competition, with Air Force duo Andrew Faciszewski and Kevin Jackson seeded four and six seconds behind respectively. The final event of the meet, the women’s 400 free relay, will be one to keep your eyes on. The top four teams are seeded within two seconds of each other, with the defending champion, Bakersfield, seeded third. It will surely be a thrilling race, and as everyone knows, the meet isn’t over until the hands hit the wall for the final relay.